Ha, no..I am not talking about the famous ghosted avatar we all experience every now and again, but ‘real’ ghosts! This morning Donata dropped by in our Dojo, and she looked amazing. A transparant ghost avatar, all ready for Halloween. 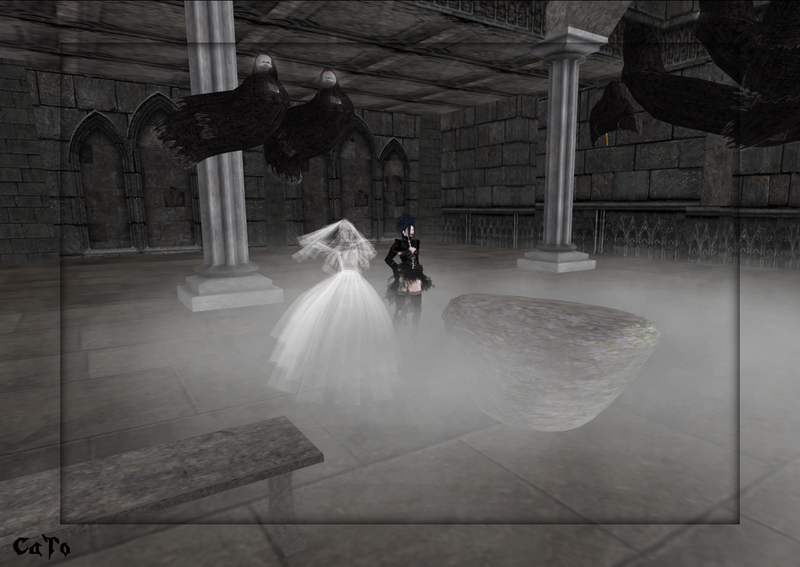 To add some more spooky effect she brought a stone with more ghosts with her and before we knew it the Dojo was filled with fog and creepy creatures!